where is texas? I am in Texas. If you are a winter texan, I am in the lower Rio Grande valley. I have a very nice large raku kiln and would love some clay folk company. 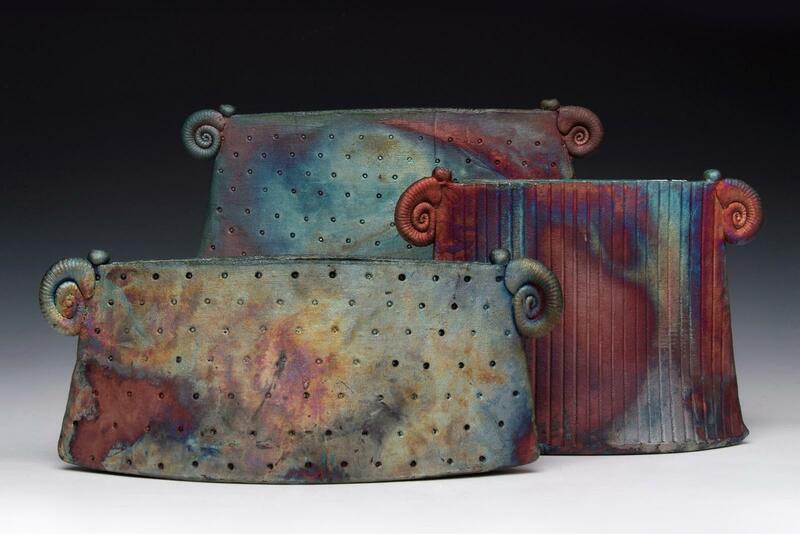 I really love these pieces, and especially the glaze effects. I have been trying to get these kind of effects and never seem to get it right. I'd love to know how you do it, what you use for a glaze and especially how you get the effects. Temperature, what you use for reduction, and especially the post firing reduction technique.